The strawberry bed in the vegetable garden is bursting with red fruit like warning signs that summer is around the corner. 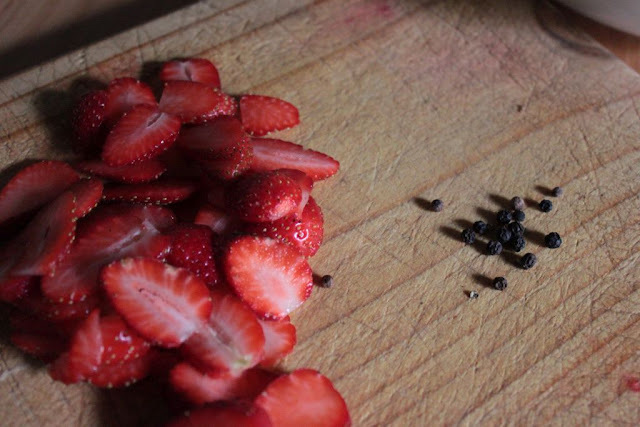 The red fruit attracts one and all. There is a fiesta in the garden and the strawberry bed is the place to mingle and meet the average garden pests and birds. All are feasting on the sweet red fruit. 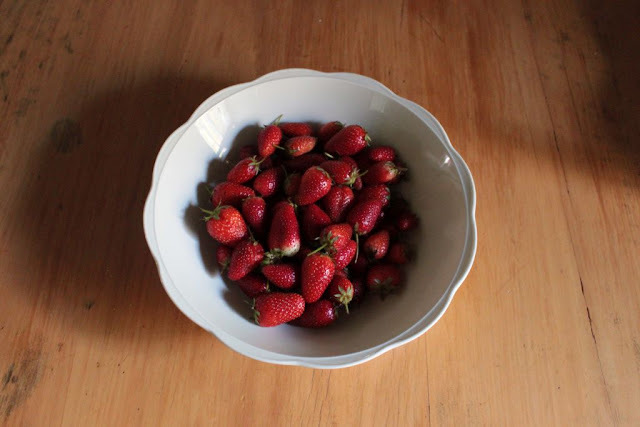 We still managed to get a healthy picking of strawberries to include in various forms in our meals. Dessert is the first thing one thinks of when you see the bowl of bright red offerings. 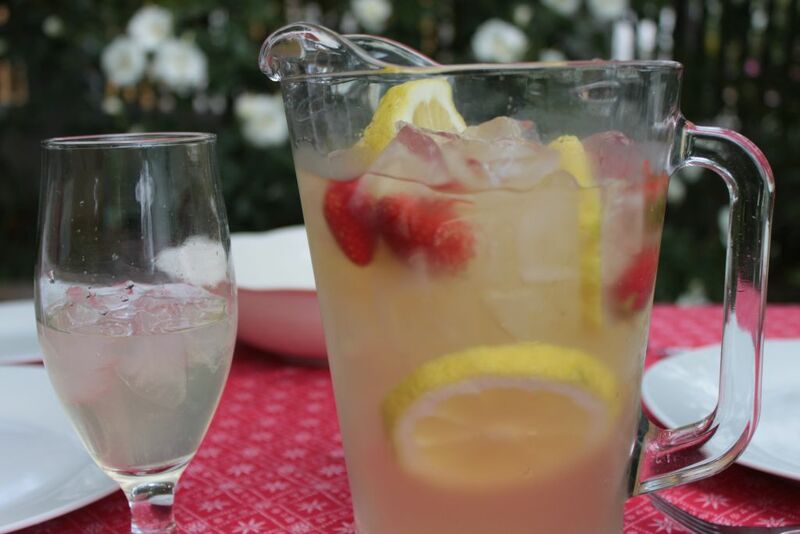 But I enjoy using the fruit to brighten up a jug of homemade lemonade as well. As with most of the garden produce, I have to find different ways of using the abundant offerings of the strawberry bed. 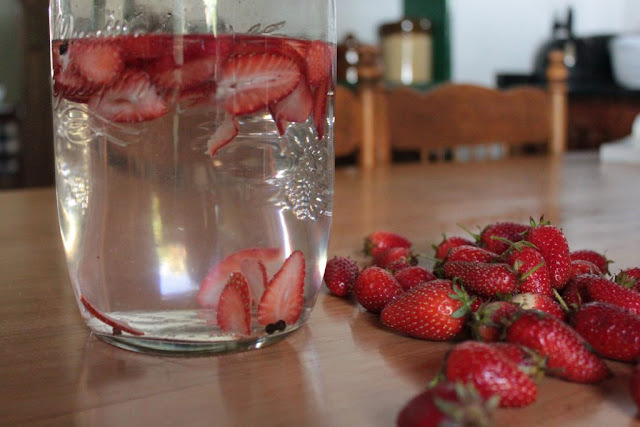 I decided to make strawberry vinegar for use over summer salads and even fish-dishes. 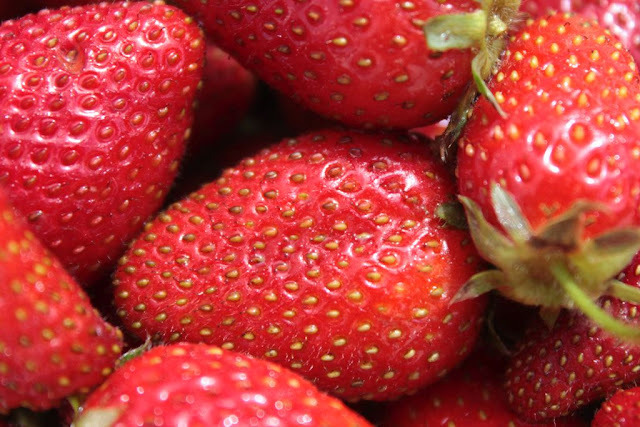 Strawberries are not actually fruit as their seeds are on the outside. They are in fact members of the rose (rosaceae) family. 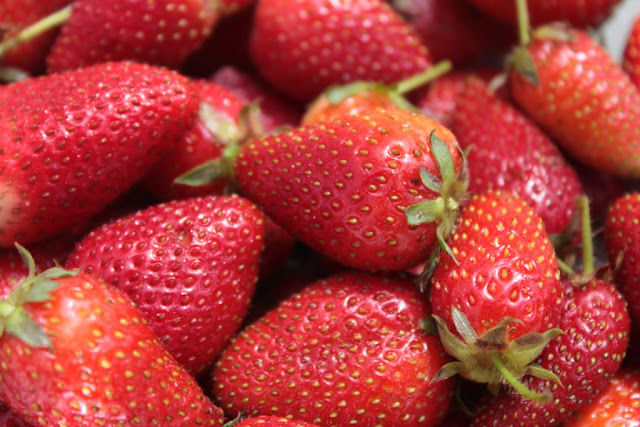 The red colour of strawberries is due to the anthocyanin in them. This means they contain powerful antioxidants and are thought to offer protection against inflammation, cancer and heart disease. I am sure to find more ways of preserving them. The best though, is to eat them fresh and enjoy the sweet taste of summer bursting into one’s mouth. Red is apparently the colour preferred by extroverts. 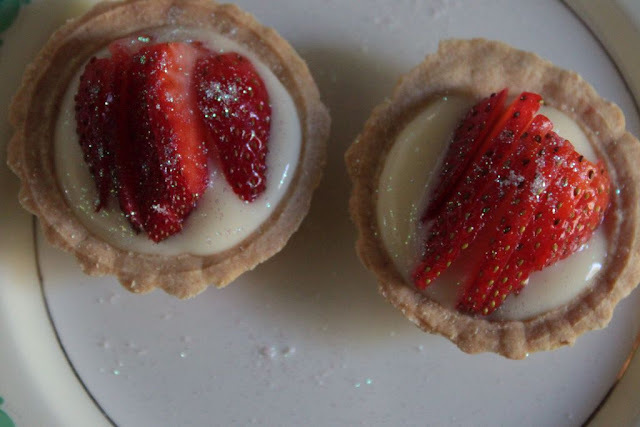 I can agree with that, as the colour of the strawberries gives them a sense of being extroverted as they stand out in the vegetable garden where green is currently the dominant colour. I think that it is time to introduce this extroverted fruit into Towerwater summer cocktails. 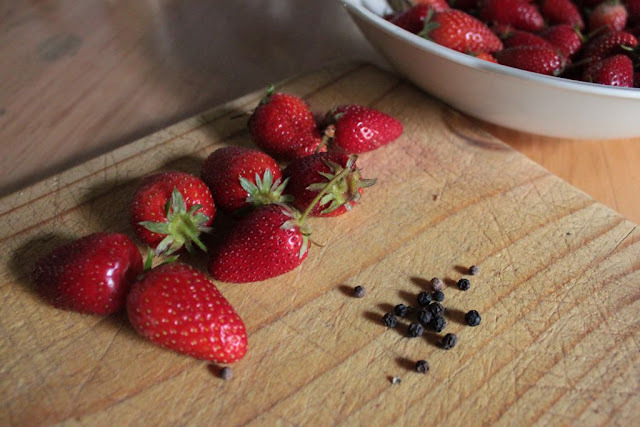 How about making delicious strawberry jam? Yummy! Thank you Estelle that will definitely be on my list. 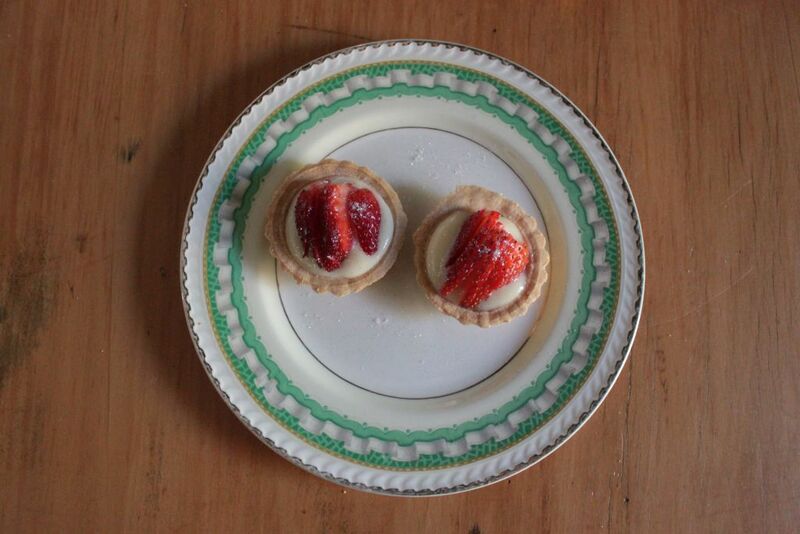 Perfect to have with scones and tea.